Discover the most famous and the secret destinations for history and culture. 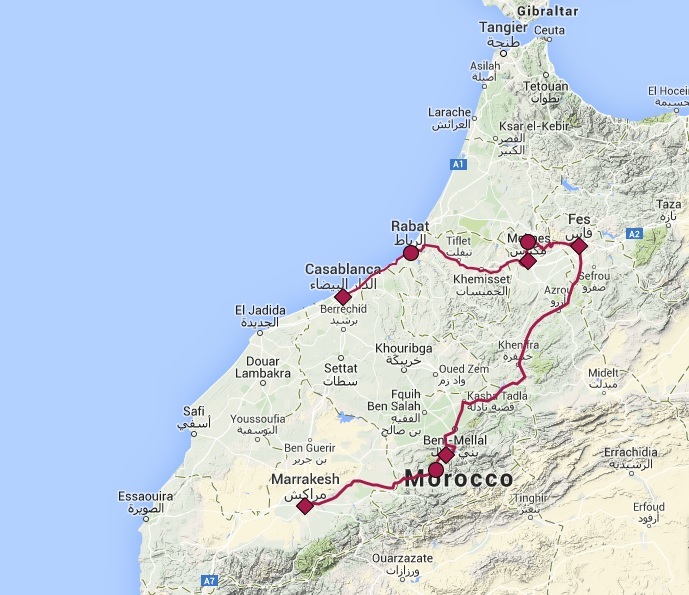 We spend the next few days by exploring the Imperial Cities and some sites in the northern part of Morocco: Rabat, Volubilis, Meknes and Fes. All are fascinating in their own right, and also offer an interesting insight into the historical and religious background of the country – in particular the Roman and Islamic roots. Before we reach the last destination of our tour, we stop at the beautiful Ouzoud Waterfalls, the highest (110m) waterfall in Morocco. In the morning we have a short orientation by bus to know where the sights are. Later you will be free to discover the town’s main important sights (such as the granary, Mausoleum of Moulay Ismail and Bab Mansour) by your own rhythm. 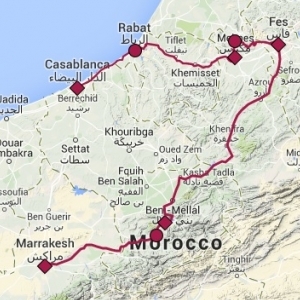 After lunch we leave towards Fes passing by Volubilis (roman ruins) where we make a visit. In the morning we visit the oldest living Medina in the world: the souqs (markets), the gateway of the Royal Palace, the Karaouiyine Mosque (dating from the 9th century) and the University. We also visit the tomb of the city founder, Moulay Idriss II. After having lunch in one of the traditional restaurants in the Medina, we continue our tour to visit one of the city’s famous tanneries, the el-Nejjarine Fountain and the ceramic production school. On the way back to the hotel, we stop to enjoy a panoramic view of the city. In the evening we can visit the heart of Marrakech (the Djemaa el-Fna) and have a dinner in one of its food stalls. The square – with its snake charmers, water-sellers and acrobats – is a place of night-time entertainment for both tourists and local people. The afternoon is free to explore more of the ‘Red city’ like visiting the Badia Palace and the museum Dar Si Said or spend some time in the labyrinthine souqs (markets) looking for souvenirs. You can also take a half-hour Calèche ride (a green horse-drawn carriage) to the Majorelle Garden. This peaceful garden decorated all over in blue was built by Jacques Majorelle, a French painter who fell in love with Morocco and later was bought by Yves Saint-Laurent. You can finish the day by relaxing in a hammam, a traditional Moroccan steam bath.